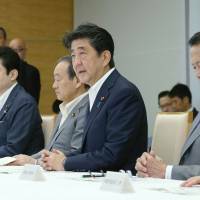 About 61 percent of voters who are members of the ruling Liberal Democratic Party have said they will vote for Prime Minister Shinzo Abe in the upcoming LDP presidential election, while just 28.6 percent said they will support former Defense Minister Shigeru Ishiba, the latest Kyodo News poll showed Saturday. The result of the poll, conducted on Friday and Saturday, will further strengthen expectations that Abe is likely to win the Sept. 20 LDP race. Rank-and-file LDP members nationwide have a total of 405 votes, while the party’s 405 Diet members have the remaining 405 votes. Abe has already secured the support of about 70 percent of the lawmakers in the race, which effectively chooses the next prime minister, according to media reports. The same survey also showed that 50.6 percent of 1,525 respondents who gave valid answers said they support Abe’s proposal to revise the war-renouncing Article 9 of the Constitution, while 32 percent are opposed. 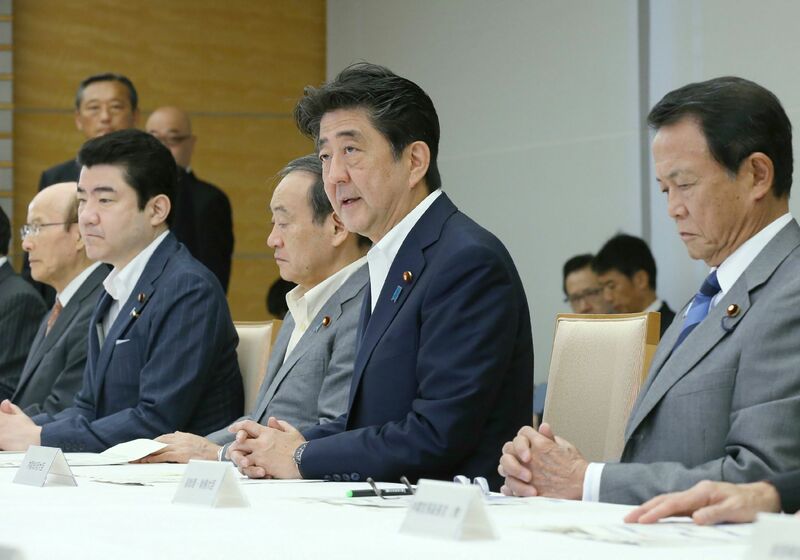 Abe has proposed that the article be revised to formalize the legal status of the Self-Defense Forces and thereby put an end to long-continuing academic debates over the constitutionality of the SDF. Some experts say the Abe-backed revision could greatly expand the legal scope of the SDF’s military operations, while the prime minister has maintained it would not change the substance of the SDF’s missions. The survey also asked respondents to choose two issues the next LDP president should prioritize. Economic and employment issues topped the list with 35.6 percent of respondents, followed by welfare, pension and medical issues with 33. 9 percent. National security and diplomatic issues garnered 22.2 percent and fiscal rehabilitation was favored by 19.2 percent of respondents. Kyodo called voters across the nation and surveyed only those with LDP membership. A total of 1,525 respondents with LDP membership gave valid answers.